The New York Public Library’s (NYPL) Jefferson Market branch, a historic building located in Manhattan’s Greenwich Village neighborhood, enjoys a close, long-standing and reciprocal relationship with the local community. 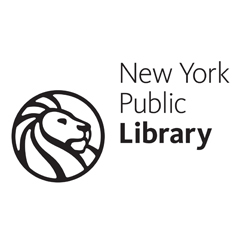 The New York Public Library (NYPL) is a system of four research libraries and 88 circulating branch libraries that serves the Bronx, Manhattan and Staten Island. The library’s Adult Programming and Outreach Services office works with staff across the circulating branch system to provide centralized resources that support the diverse needs of patrons from all walks of life. In February 2017, the New York Public Library (NYPL) launched a Community Conversations pilot with the goal of further establishing branch libraries as key civic convening centers, providing space, information and quality discussion for communities to better understand and problem-solve around local issues. ALA, in partnership with Citizen Film and the National Writing Project, invites public libraries to apply for programming grants to host community conversations centered around American Creed, a PBS documentary that invites audiences to consider what America’s ideals and identity ought to be. Read the project guidelines and apply online by Nov. 19. Up to 50 public libraries will be selected. On April 13, the Berkshire Athenaeum hosted a Speed Repping program. What is Speed Repping? Much like speed dating, Speed Repping provides community members a few minutes to sit down with their representatives in a one-on-one setting and ask them questions about who they are, what they do, or just voice concerns. The Memphis Public Library ran a similar program in 2017. Through this program, city representatives engaged thoughtfully with the people they serve in a relaxed atmosphere. Café LOUIE gives Louisville residents the opportunity to meet with state and local elected officials at their local library branches. Constituents, legislators and council members gather in each branch for a casual forum and moderated question-and-answer session.